Manny Pacquiao Isn’t On Steroids, Floyd Mayweather Is Just Scared! By Jay Cade I used to think that Manny "Pacman" Pacquiao was suspect of taking performance enhancing drugs when he first rejected the random blood testing for steroids in the first negotiations with Floyd Mayweather. Slowly my mind started changing, and I begun to realize that the real truth is Floyd Mayweather is scared of the Pacman. … [Read more...] about Manny Pacquiao Isn’t On Steroids, Floyd Mayweather Is Just Scared! Mayweather vs. Ortiz Pay-Per-View is $70 for HD? I’m Saving For Pacquiao’s Fight! By Jay Cade This is really highway robbery. I didn't realize how expensive the Floyd Mayweather Jr. vs. Victor Ortiz fight was until I was about to order it. I thought it was going to be $54.95, still pretty rich for my blood, especially in these tough economic times, but when I saw it going for $69.95 (basically $70 bucks) for high definition my heart sank. 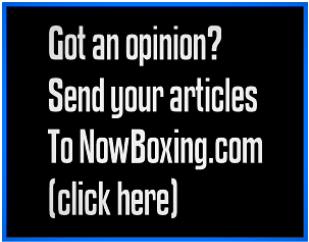 I am going to … [Read more...] about Mayweather vs. Ortiz Pay-Per-View is $70 for HD? I’m Saving For Pacquiao’s Fight!